No April Fools on The Sully Baseball Daily Podcast. A great opening day was had all around baseball. 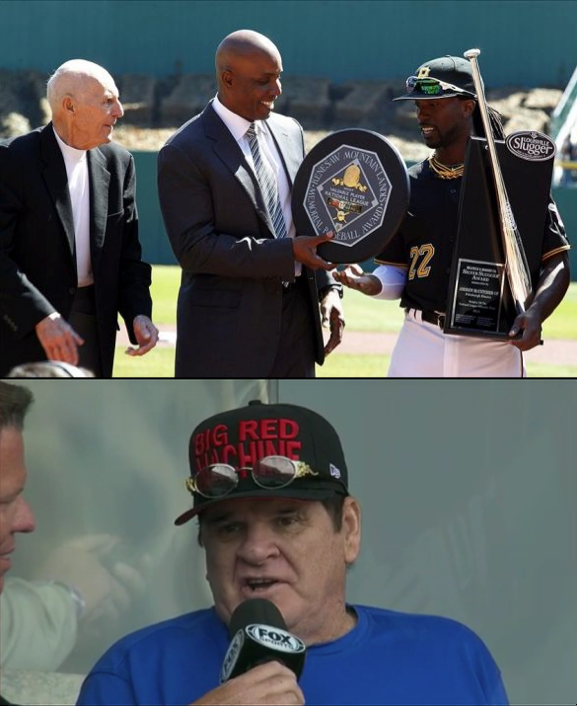 And Barry Bonds and Pete Rose made appearances as they try to get back in the good graces of the fans. Not sure it is going to work, but I enjoyed seeing them both try. Alex Gonzalez, Justin Masterson, Anthony Rendon, Adam Wainwright, Salvador Perez, Jon Lester, Emilio Bonifacio and Johnny Cueto all added to their totals for Who Owns Baseball. Posted on April 1, 2014, in 'SullyMetrics', MLB Podcast Network and tagged 2014 Pittsburgh Pirates, barry bonds, cincinnati reds, Paul Francis Sullivan, pete rose, pittsburgh pirates, Sully baseball daily podcast, Sully Baseball Soundcloud. Bookmark the permalink. Leave a comment.